FALL is an interesting verb because it can be used in a lot of different phrases in English. For today’s English lesson, we’re going to take a look at eight idioms that have the word FALL in them. 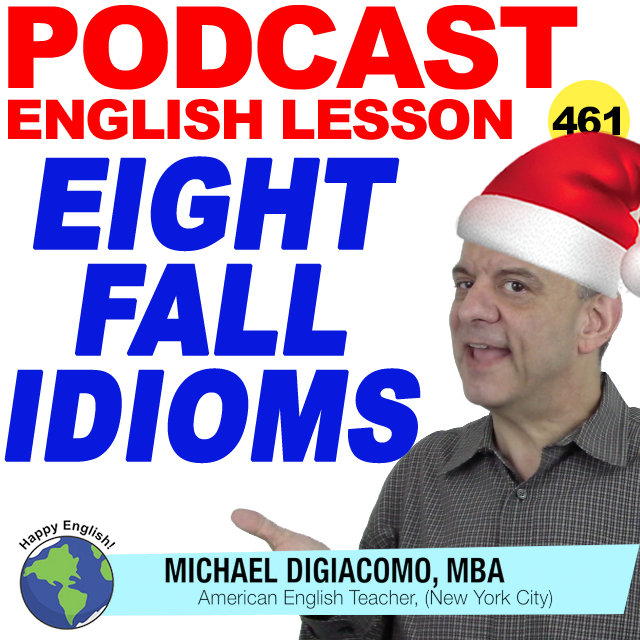 The idioms are fall into place, fall in love, fall through, have a falling out, fall on deaf ears, fall short, fall head over heals, and fall to pieces Let’s check them out! Tom studied hard and got his CPA license and then got a good accounting job. It seems like everything is falling into place for Tom. We have invited all of the guests, made the reservation for the restaurant, and prepare all of the decorations. Everything is falling into place for mom’s surprise birthday party. Lori and Nick fell in love and got married one year later. In movies people fall in love and fall out of love quite easily. My reservation at the hotel fell through because the travel agent made a big mistake. Peter had a falling out with his brother several years ago and they still don’t talk to each other. Jim and his wife had a falling out and she moved back to her mother’s house. Don’t bother asking your boss for a raise. It will just fall on deaf ears. Tony wanted to go to Las Vegas with his friends but when he asked his wife about it, it fell on deaf ears. We didn’t reach our sales target for the past two months. If we missed the target again this month, we will fall short of our budget. I tried really hard to finish the marathon, but I fell short. In Titanic, Jack and Rose fell head over heels for each other. Ever since Fred fell head over heels for Wilma, he hasn’t been able to concentrate on his work. When Jack lost his job he fell to pieces and started drinking every day. Experiencing a tragedy like a hurricane can cause people to fall to pieces.